Jacob Downey joined the Teens in Print editorial board after stumbling into the program’s Summer Journalism Institute. He says the experience has opened more doors than he thought possible. 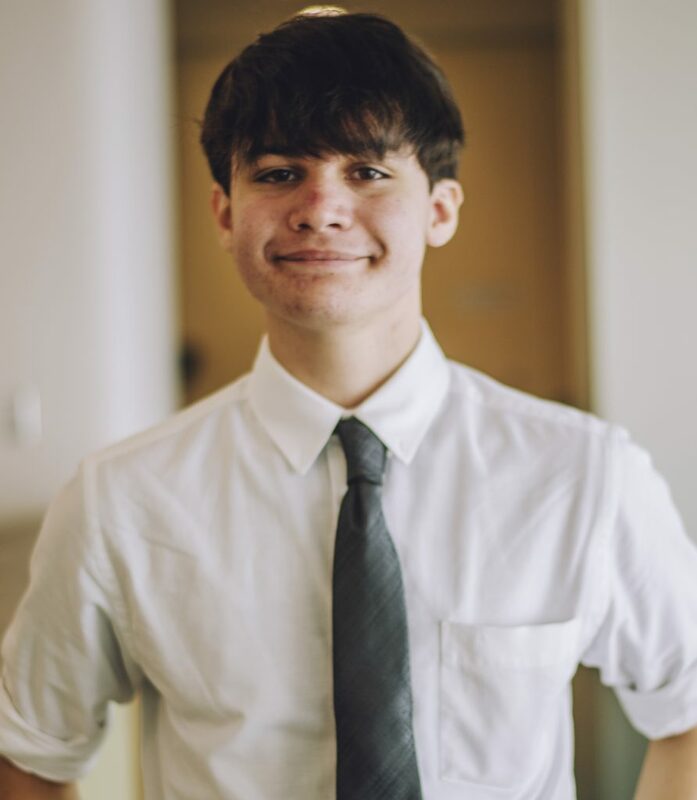 Friends, donors, countrymen—my name is Jacob Downey, Student Editor of Teens in Print’s Arts and Entertainment Section. My interests include writing, over-analyzing song lyrics, and long walks on the beach. 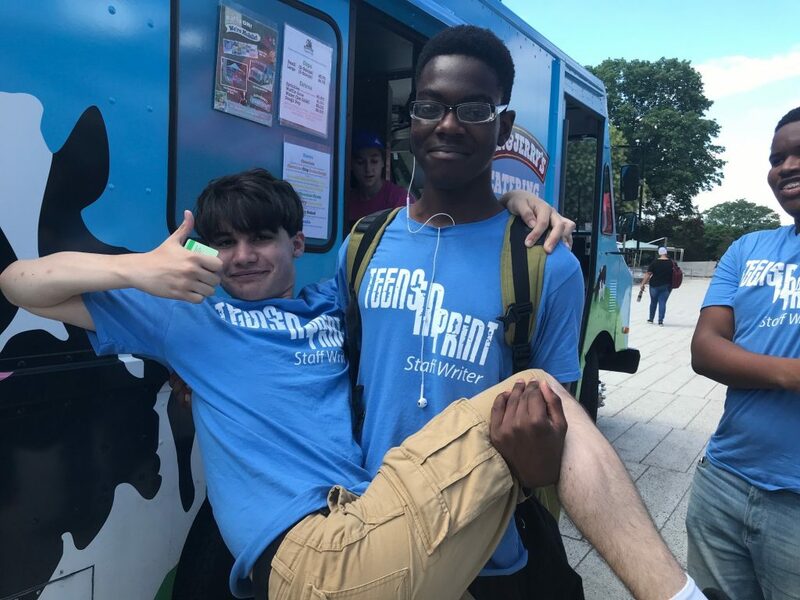 Roughly two years ago, in an old flannel I was pretty sure would pass for a dress shirt, I stumbled into Teens in Print’s Summer Journalism Institute—a program that would open more doors for me than I’d ever thought a summer job could. After several weeks of writing about how secretly genius Green Day lyrics are, I remember nervously asking the program director, Carla Gualdron, if I was allowed to stick around for the school year. Considering I’m still around two years later, you can guess how she responded. After writing article after article about everything from bands, to net neutrality, to the subtle woke-ness of the X-Men, a few veteran Teens in Print students and I, as Carla put it, “inherited” positions on the TiP editorial board. 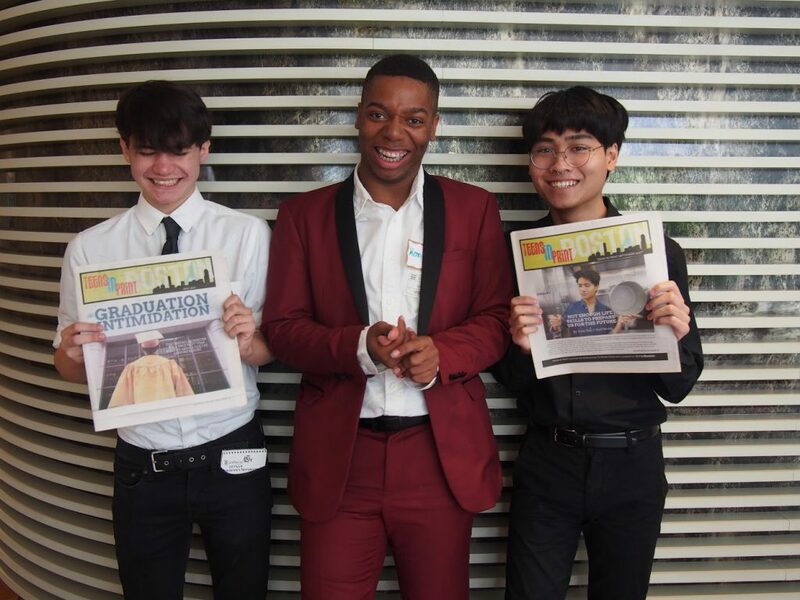 As co-editor of the Arts and Entertainment section of our paper, it was my fellow editors and my responsibility to make decisions regarding the format of the paper, line edit the articles of fellow TiPsters, and represent Teens in Print at a variety of events all around the city. When asked to be a part of the editorial board, I was anticipating finally taking my role as Teens in Print’s “Lois Lane.” And while unfortunately I found no “Clark Kent,” my experience as an editor definitely opened my eyes to an opportunity an angsty guy from Southie would never have gotten otherwise. I found myself working to not just contribute to the paper that had become a regular talking point at every dinner table conversation, but to sculpt it to better reflect the teenage mindset. 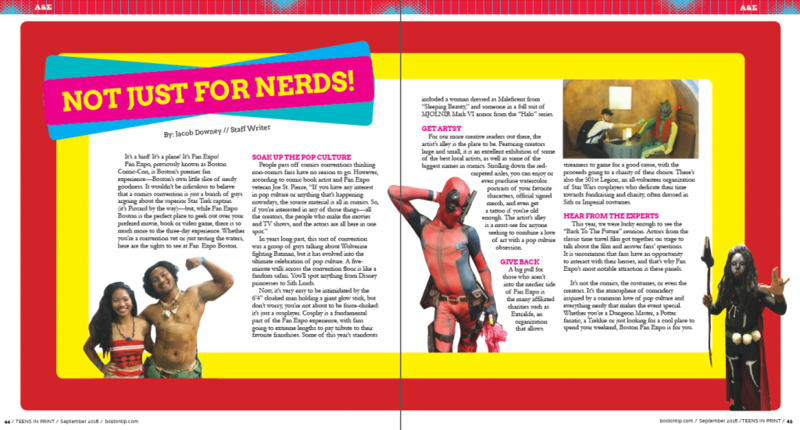 We sectioned articles into areas we felt our teenage audience would gravitate toward and even published our brainchild, the first ever TiP “Can’t Miss List,” a list of current and upcoming movies, books, and events that got our teenage seal of approval. A personal highlight for me was the line editing and fact checking that made up a majority of the position. It was enlightening in a way to be able to guide the children away from the mistakes I’d made time and time again in my early months of student journalism. And correcting people had always been a hobby of mine—what wasn’t to love? During this time, I was also given the opportunity produce some of my best work yet: reviews of Bohemian Rhapsody and Into The Spiderverse. (Note: now we put links to the website to draw the readers in hook, line, and sinker.) Writing a review was one thing, but being invited to an early press screening and seeing the real influence of my article was the most invigorating experience of my writing career. It drove me to put more and more effort into the four articles I ended up contributing, one of which even won me my first Rising Voices award: a fancy frame, a cute little stamp proving that I’m the superior writer, and $100 to boot. Being on the Teens in Print editorial board was ultimately an important lesson in responsibility and leadership, as I found myself a role model of sorts to aspiring TiPsters as they began their journey into the tribulation known as “High School.” The experiences I’ve gained being an editor have further motivated me to pursue a career in journalism. 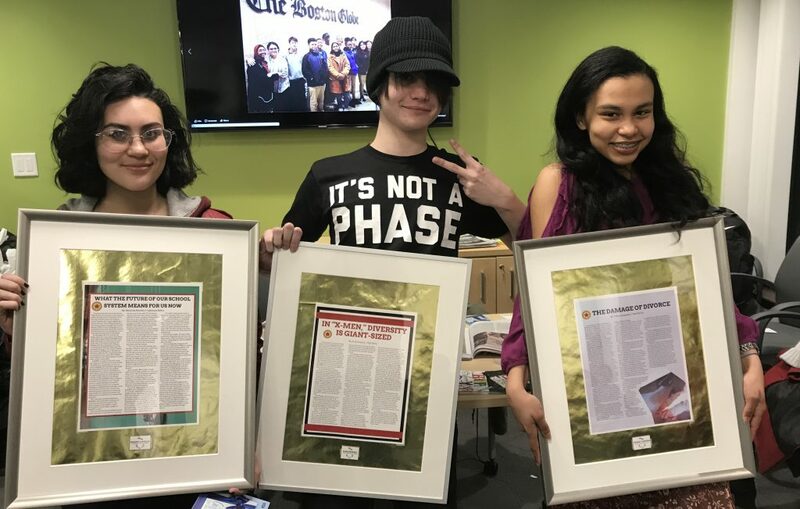 So a few years from now when I’m winning a Pulitzer for my gripping story on the rise, fall, and return of early 2000’s rock outfit My Chemical Romance, my legions of fans and I will have none other than the Teens in Print editorial board to thank. 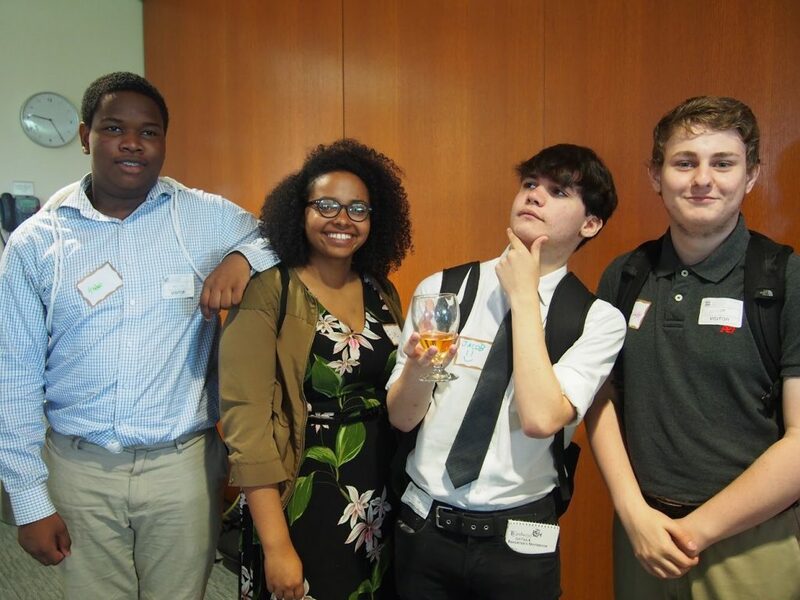 WriteBoston is grateful to the Lewis Family Foundation Associates Fund for supporting teen leaders and funding the 2018-2019 Student Editorial Board. For the full archive of Jacob’s Teens in Print articles, click here.